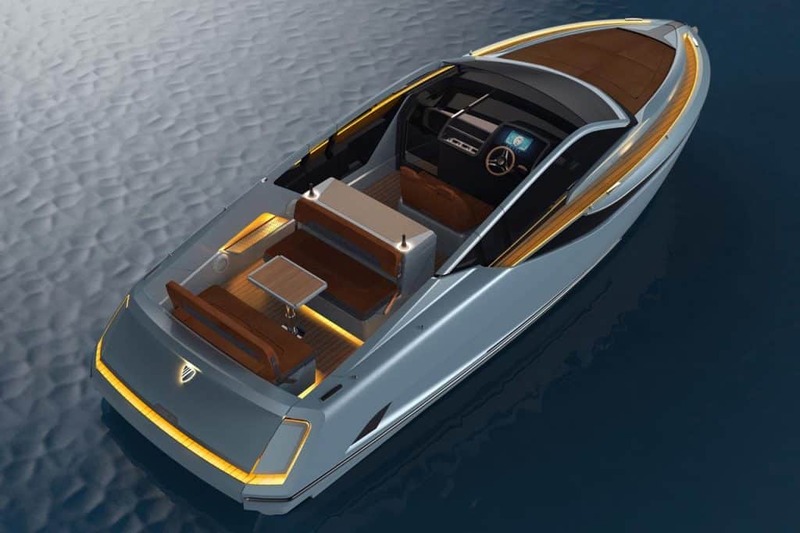 This eagerly anticipated boat will launch in Spring 2019, with an immersive virtual reality experience of the boat launching at Cannes Yachting Festival in September 2018. With a large forward sun bed and a spacious aft seating area, configurable to another sun bed, the 33’s deck is made for summer time entertaining. The sociable self-contained cockpit galley features a high spec BBQ, fridge and ice maker. An innovative drop-down transom extends the usable space onboard by an additional three feet, creating an increased connection to the water and adds to the overall sociability of the boat. The F-Line 33 is fitted with Fusion Entertainment’s newly launched premium Apollo system, the first marine entertainment system that features a one-piece glass touchscreen display and built-in Wi-Fi streaming. Atmospheric signature lighting features thoughtfully throughout the boat, creating a warm ambience onboard whilst looking striking externally. Fittings such as cleats and fender eyes are neatly hidden away and pop up when required. 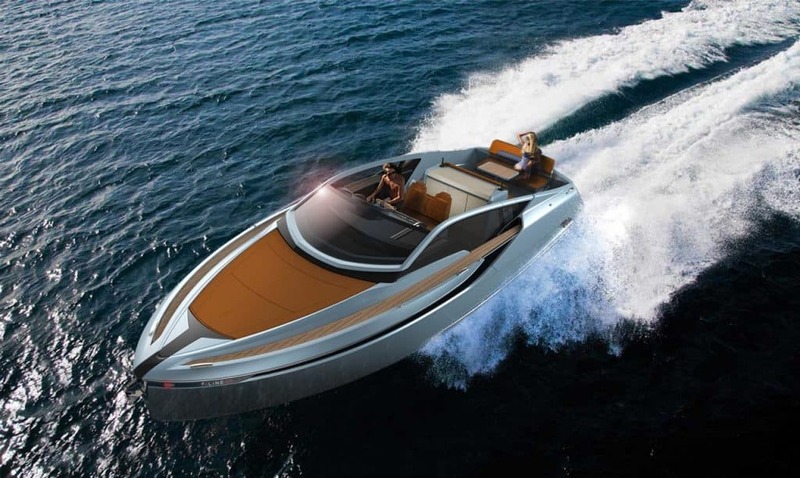 The boat’s interior flows seamlessly, featuring a mid-cabin with double bed, day head with shower, U-shaped seating with table and bed conversion. The entry-level model has twin Volvo Penta V6-240 petrol engines but for even greater performance the option of either twin Volvo V8-430’s or twin Mercruiser 8.2 litre petrol V8’s are offered. A diesel option utilising twin D3-220’s from Volvo is also available.